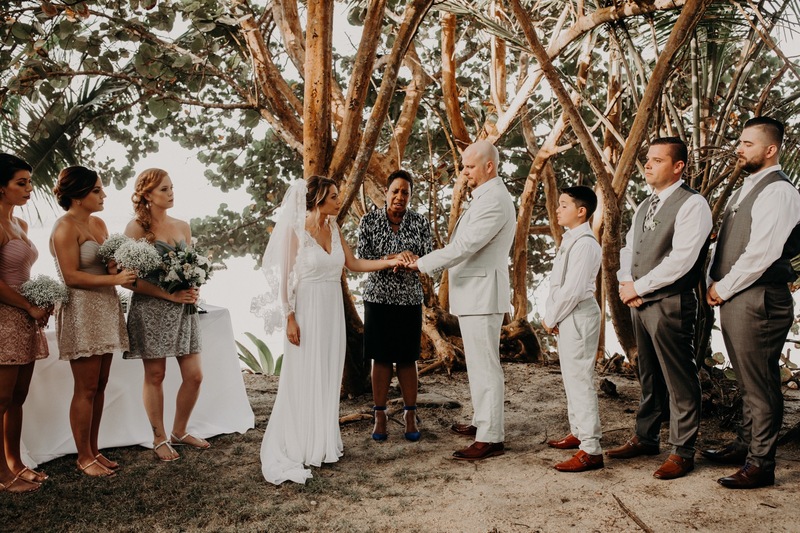 Nestled in the garden of their family home by the sea, Kate and Drew got married amongst friends and family with the seabreeze and coconut trees swaying on the Caribbean island of Trinidad. It was the perfect intimate setting. They live in Canada so coming down to the caribbean where Kate’s family is from was a nice warm change from the crispy air up north. There reception was anything but quiet and calm though. The Trini music took over and they had a fete!